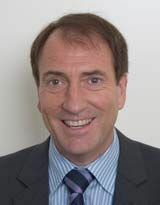 Mr Shelmerdine brings exceptional skills in finance, business and philanthropy to our Advisory Board. He was previously Chair of The Myer Foundation Company, and currently holds a number of roles as Chair, President and Board member with various philanthropic and scientific organisations. He holds a particular passion for research into sustainability and climate change, and as well as business strategy and stakeholder engagement.